Welcome to the National Youth Concert Band! We’re delighted to announce that our first course will run during Easter 2019, starting on Sunday 14th April, finishing the following Sunday 21st with our showcase concert in the Foleyan Hall at the Old Swinford Hospital School. 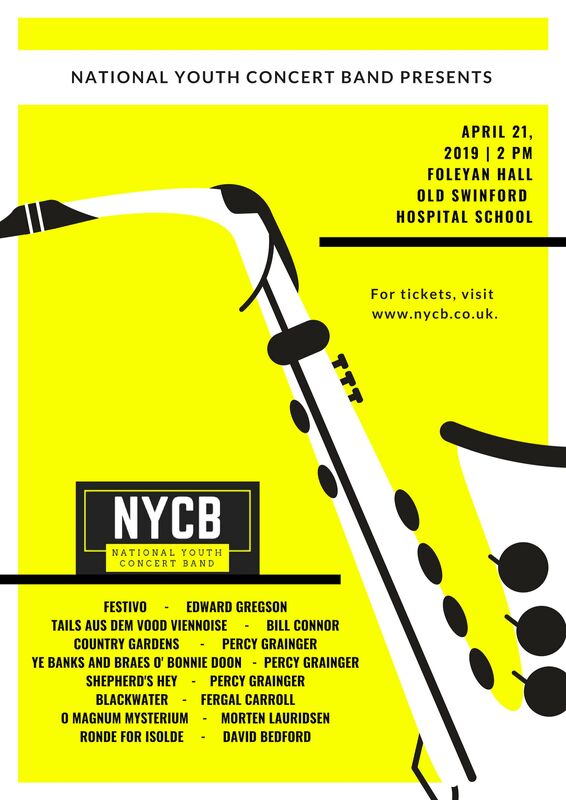 The NYCB is an exciting and challenging music group for wind, brass and percussion players aged 12 to 18. Directed by Jonathan Parkes and a team of industry leading musicians and educators, the National Youth Concert Band gives students a unique opportunity to play, develop and perform with other talented musicians of a similar age and calibre. Covering a vast range of repertoire and with intensive expert tuition in each individual instrument, as well as some fun and games in between, the annual residential course is an unforgettable experience for young musicians around the country. Applications are still open for our Easter 2019 course! This website is being constantly updated. Please follow us on Facebook and Twitter for more information.